Join IADT for their Taster Days and find out what it’s really like to study with them. Take part in their hands-on workshops to learn more about the perfect course for you. IADT specialises in creativity, entrepreneurship and innovation in an educational environment that values the whole student experience. 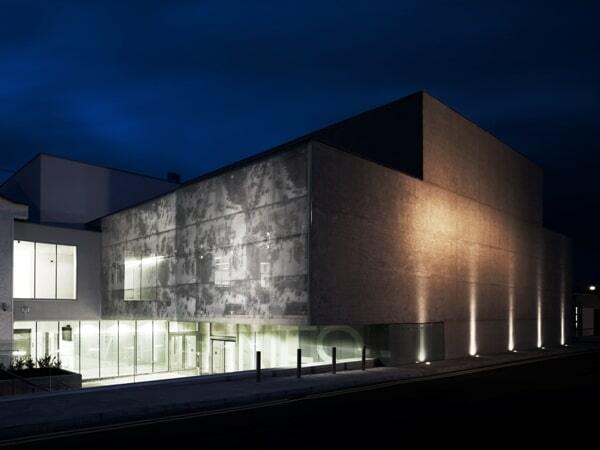 IADT provides a unique experience to all their students, made possible by the advanced and dynamic student-centred curriculum facilitated through their professional staff. These Open Days will give you the opportunity to visit IADT and talk to their lecturers, staff and students about your interests and possibilities and to discover what is available at IADT for you. While visiting us, you can explore the campus, visit lecture halls, labs and studios, and the National Film School. ZBrush Demonstration. Create digital characters + creatures for Film + TV. Advanced Portfolio Clinic for CAO 2019 applicants only. Bring your portfolio or samples of your work and get 15 minutes of advice from their lecturers on how best to present your work at the portfolio at the portfolio assessment in March 2019. Introduction to Printmaking. Make your own Zine using monoprint & drypoint techniques. Do you love Music, Film, Theatre, Dance or Visual Art? This workshop will explore where a degree in Arts Management will take you. Masterclass in Business. Ideas and creativity are at the heart of business, learn some fun and innovative entrepreneurial skills at this workshop. Design your own Web Game – Learn how to create a small game involving an animated player running and jumping around platforms, collecting stars and avoiding bombs. The Light Fantastic. Learn how to build circuits in order to turn on lights in unexpected ways. Explore the staging of the RIAM/IADT Opera collaboration. Get up close to the set models, costumes, and drawings to see what design for performance entails. Masterclass. Learn how the Film + TV industries actually work; how programmes get made and why we watch them. Macbeth Masterclass. Get an edge on the rest with this masterclass, explore the concepts of Love, Madness, Death and Decadence at work in this play. Storytelling Masterclass. Learn how to develop a story for Film, TV + YouTube. Memory, the brain and amnesia. Explode some memory myths, take part in a memory experiment, and walk away with six secrets for more effective study. Advanced Portfolio Clinic for CAO 2019 applicants only. Bring your portfolio of work in progress & visual notebooks/journals, and get 15 minutes individual feedback from their lecturers on how best to present your work at the portfolio assessment in March 2019. Personality of Type. In this workshop you will explore the role & use of letterforms in conveying a message through the process of drawing.